Driving each other crazy, one step at a time. 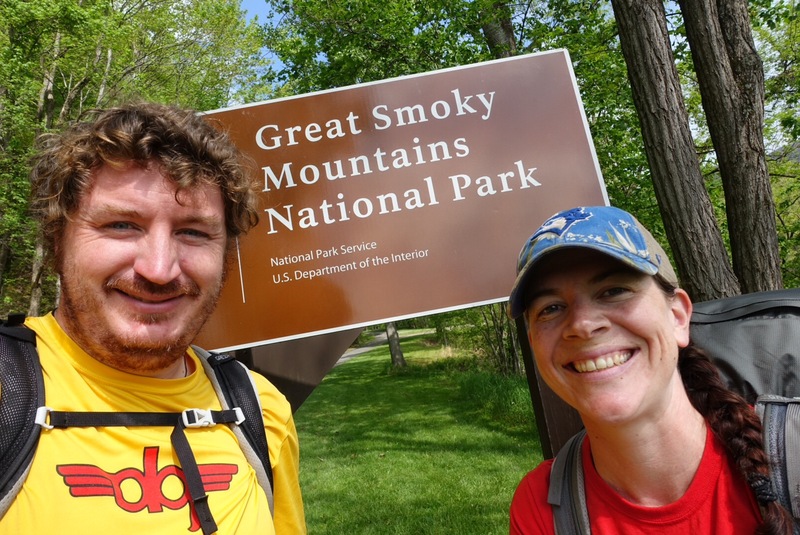 Week three of the trail saw us entering the Smokey Mountain National Park. Laden down with our expensive Fontana Dam resupply our plan was to make it through the park in a single shot rather than get off the trail in Gatlinburg to resupply again. 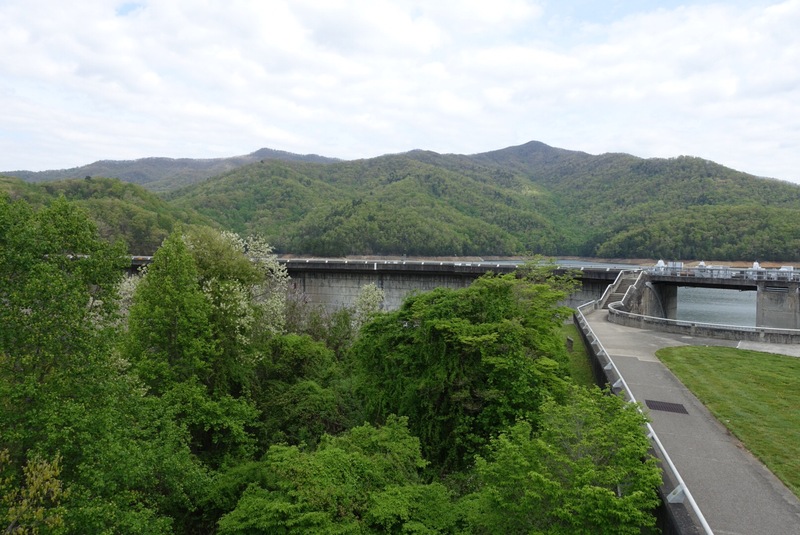 So with heavy packs we set off on the long climb out of Fontana Dam, ascending ~3000ft/915m to Mollies Ridge shelter. The rules of the park state that you must sleep in the shelter if there is room, unfortunately there was room and we ended up spending our first night of the trip in a shelter. 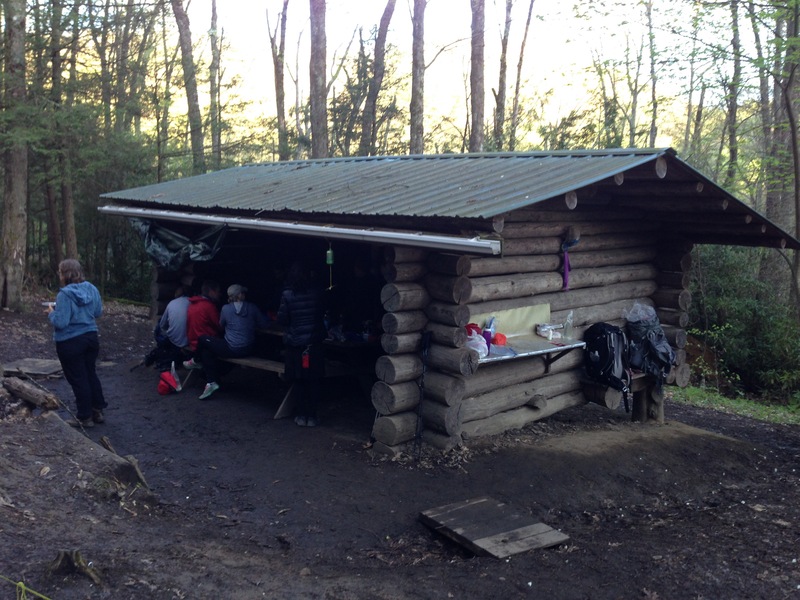 The collective effect of the communal snores and farts led us the following morning to reassess our plan for the park, to reduce our shelter time we decided to up our miles and get out of the park in 5 nights rather than the 6 we had planned. 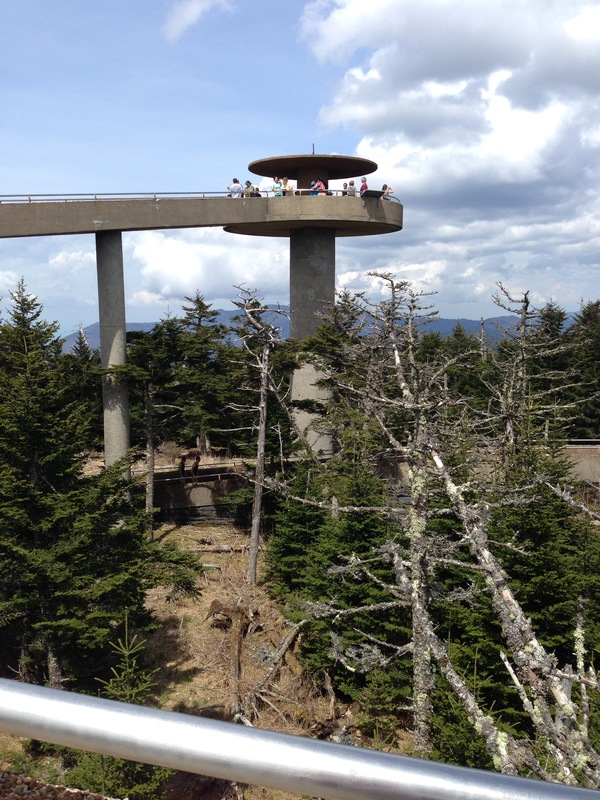 Other than the shelters the Smokies are beautiful, offering plentiful views, in particular from Clingmans Dome. At 6667ft/2032m Climgmans is the highest point on the AT, so by my reckoning it should be downhill all the way to Maine, alas I fear I may be mistaken on that count. 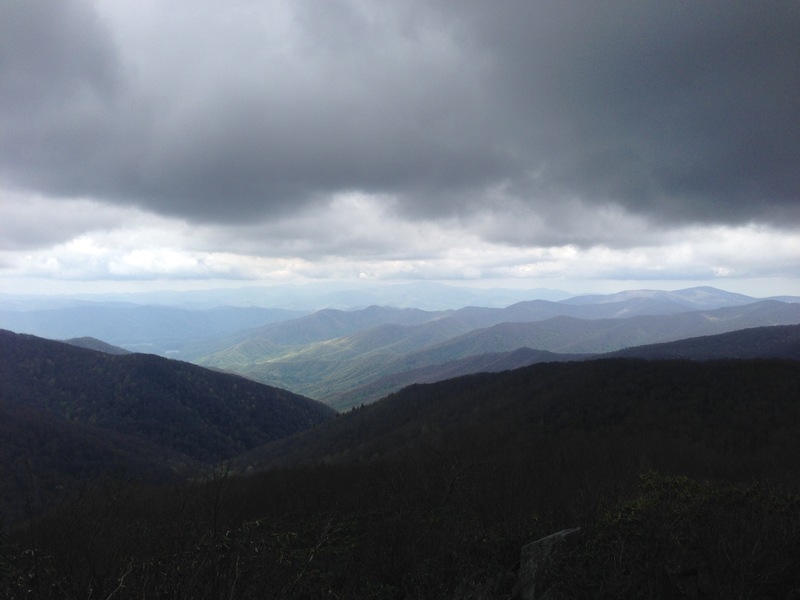 An unexpected surprise was the trail magic we received on the summit of Rocky Top mountain. 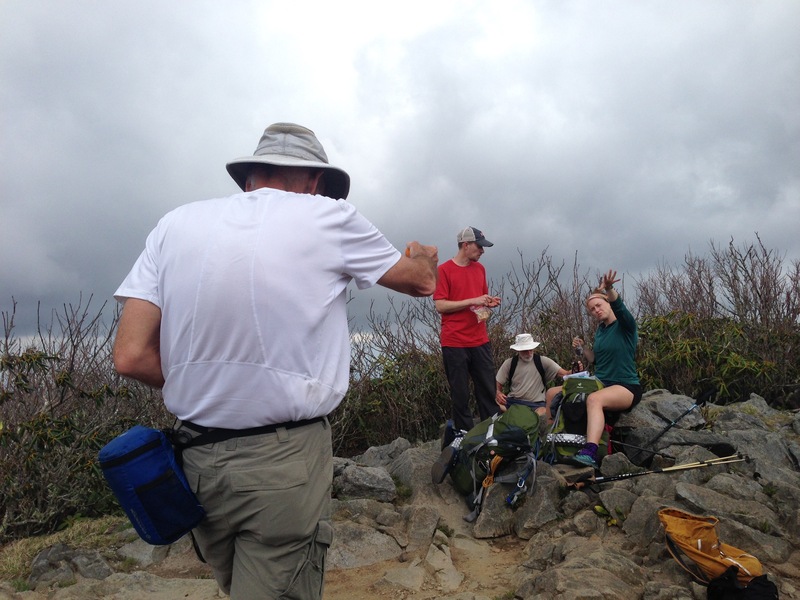 As we were nearing the summit a group of four day hikers came flying up behind us, we pulled off the trail to let them pass but they insisted we go first. Heather wasn’t overly impressed to be climbing with people hot on our heals but her demeanour changed in an instant when the chaps whipped out cookies and oranges that they had bought up for thru hikers. Trail magic is an amazing phenomenon and I am so utterly grateful and humbled that people take the time and effort to do this for us. 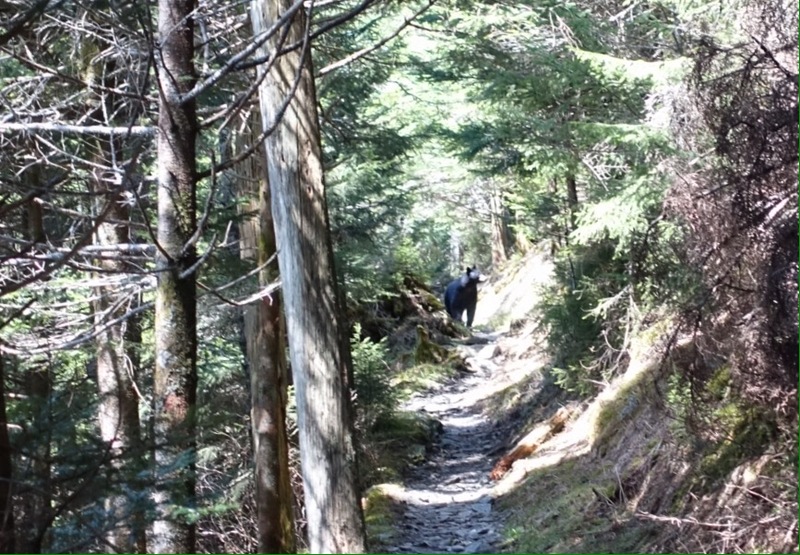 Finally the Smokies are known for the large black bear population, we had the dubious pleasure of bumping into one of the residents. Rounding a corner I spotted a bear around a 100 ft further down the trail, I stopped in my tracks and quietly took out my camera before we scared it into the bushes. 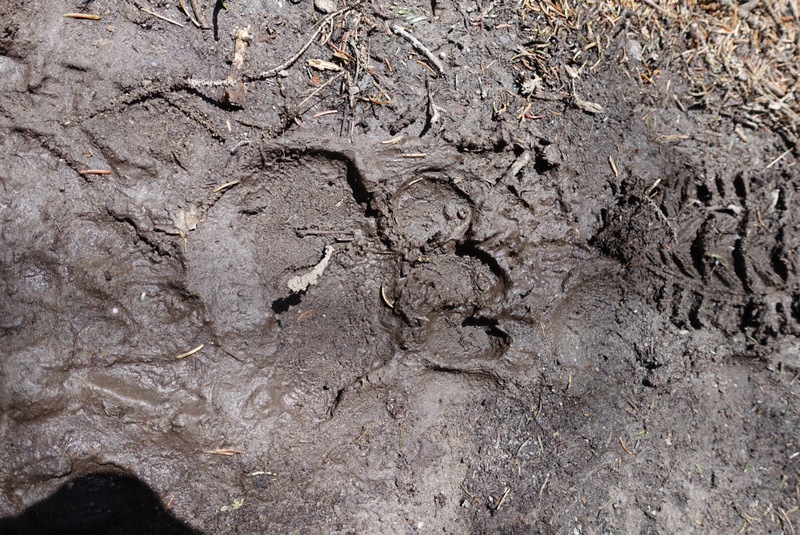 I needn’t have worried about missing the shot as he proceeded to walk right at us getting to within 15ft before our shouting and rock throwing (at the ground not the bear) finally drove him off the trail. The adrenalin from that close encounter propelled us up the next climb rather quickly as we only paused to make sure he wasn’t following.